Home > News > Are you ready for the NEW $10 note? 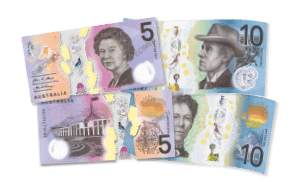 Is your cash management equipment ready to accept the NEW Australian bank notes? The new $10 banknotes are planned to be in circulation in September 2017. With many innovative security features similar to the $5 banknote, the most obvious being the top to bottom window. It also includes tactile features to help the visually impaired to identify between the notes. Other features include: distinctive texture of the raised dark printing; 3D images; changing colours and hologram images. Contact Tank Safes Australia NOW? Contact us today for assistance on how to have your cash management equipment ready.